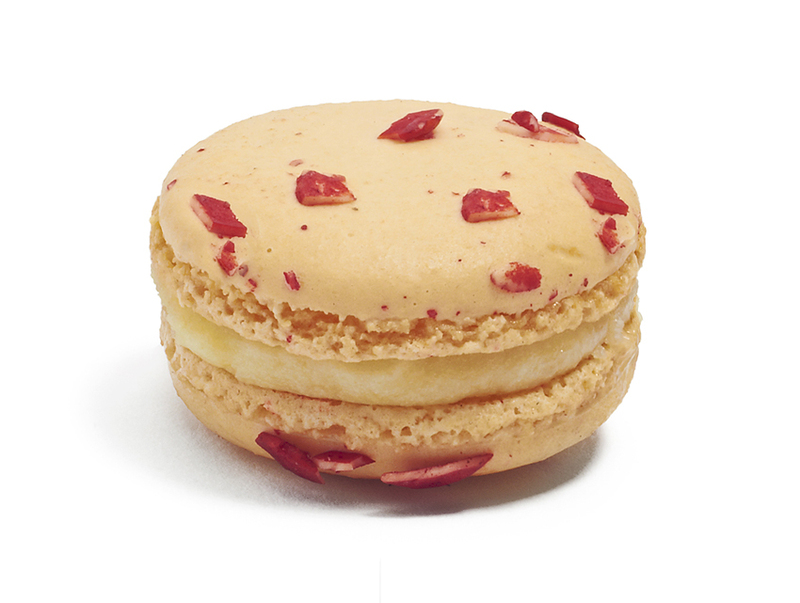 Strawberry Champagne is one of three Valentine's Day flavors from Napoleon's Macarons. Flowers are nice, but food and wine are a foolproof way to win (or keep winning) the heart you most admire. Here are some of our favorite locally made sweet, savory, and sippable gifts that are sure to make sparks fly. So delicate and colorful, it’s no wonder that macarons have become a popular Valentine’s Day go-to in recent years. Here in L.A., we’re lucky enough to have numerous delicious renditions of the French sandwich cookies widely available–you can even get a good one at the mall. One of our favorite purveyors is Napoleon’s Macarons, who are wooing us with V-Day-appropriate flavors, like a chocolate-dipped Cherry Liquer and the gorgeous almond-flecked Strawberry Champagne, filled with white chocolate Champagne ganache and house-made strawberry jam. They look really beautiful lined up in a little box. Around $21 for a box of 12. This teeny little Westlake shop creates visually stunning treats throughout the year, but their Valentine’s Day assortments are particularly designed to set hearts aflutter. The Valentine’s Box (comes with nine, 18, or 36 pieces for $20, $40, or $80) is filled with heart-shaped chocolates, some dotted with toffee pieces and wrapped in red foil, some topped with edible 23-karat gold. Even more luxurious are co-owner Valerie Gordon’s signature Rose Petal Petit Fours, layered with vanilla bean cake and rose petal fruit ganache, dipped in white chocolate, and beautifully decorated with candied rose petals—at $50, they’re definitely an indulgence but worth it to seal the deal. There’s no denying it: A box from See’s Candy is still one of the most romantic—and appreciated—gifts you can give or get. The quintessential California candy company’s beloved chocolates, from walnut-and-caramel chews to fruit-filled truffles, come in classic red heart-shaped boxes in a variety of sizes (starting at $6.95 for a 4-ounce assortment and going up to a heart-stopping 3-pound, 1-ounce box for $88.70). If you brave the long lines, you can even pick and choose your favorites from behind the glass case to create your own custom assortment. Plus, those wonderful women in the dresses with the big bow work the crowd with free candy samples to keep waiting customers happy. If your significant other doesn’t have much of a sweet tooth or likes to cook, Bruce Kalman’s spice rubs make for a thoughtful and unexpected present, or a nice addition to a gourmet gift basket. The Union chef recently teamed up with Venice’s Hepp’s Salt Co. to create a collection of four meat-specific mixes that’ll perk up your beef, fish, poultry, and porchetta dishes. If you’re the cook, you can use them to create your Valentine’s Day dinner. Insert joke about spicing things up here. $10.50 each. Declare your love all year round with a subscription to Silverlake Wine’s Wine of the Month Club. It’s entirely customizable, so you can choose from three different price points ($35, $50, $75), decide the duration of the membership, and dictate the variety and region. Get all California wines if that’s what your little heart desires. Two bottles come in every shipment, but if you want an even fancier bottle, you can have them send you just one for the full price in each shipment.